The following article was published by Forbes and written by Bob Evans. Several themes reverberate throughout: analytics, breaking down silos, social, the cloud, and particularly customers, opportunities, growth, and innovation. I hope these prove helpful, and please share your feedback in the comments section below or on Twitter at @bobevansIT.Please check out recent additions to our coverage of the strategic CIO: Career Suicide and the CIO: 4 Deadly New Threats and The Surge of the Strategic CIO. Simplify IT and Transform Your Spending: Kick the 80/20 Budget Habit. Lead the Social Revolution: Drive the Social-Enabled Enterprise. Unleash Your Company’s Intelligence: Create the Enterprise-Wide Opportunity Chain. Embrace the Engagement Economy: Merge the Back Office and the Front Office into the Customer Office. Transform Big Data into Big Insights, Big Vision, and Big Opportunities. Preside over a Shotgun Wedding: Systems of Record Marry Systems of Engagement. Lead with Speed: CIO as Chief Acceleration Officer. Bend the Value Curve: More Innovation, Less Integration. Sustainability: Where’s the beef Mr. Obama? • Development of guidance for sustainable Federal building locations in alignment with the Livability Principles put forward by the Department of Housing and Urban Development, the Department of Transportation, and the Environmental Protection Agency. Is the US government truly Transparent in reporting Sustainability? • A quick review of the consolidated dashboard, indicates that only three federal agencies do not have the yellow or red status on their objectives (which in my experience would make each one of these agencies suspect). My professional experience would indicate that a mix of performance results in each agency would be the norm, rather than the exception. It is very important to be able to verify and validate the results of any agency. • Additionally, it is unbelievable that the Department of Education has no strategy to reduce energy, promote renewable energy, reduce portable water, or have any strategy to reduce petroleum use in their vehicles. This lack information would imply that their executive team is not in control of their agency, nor has a sense of urgency. • Also, it is unbelievable the Office of Personnel Management was void of three strategies for reduction of energy reduction, in usage of potable water, and the reduction of fleet petroleum usage. Again, this lack information would imply that their executive team is not in control of their agency, again, does not appear to have a sense of urgency. When in today’s world, from many federal positions are paid in excess to comparable business positions, it is incumbent on the federal government to do their job properly, accurately, with transparency, and be able to inform citizens of this country. At this point, Sustainability reporting and transparency is only a beginning. However, the implementation of this dashboard tool does not provide the clear answers that everyone needs to address. Those answers should be able to give all citizens a sense of urgency and action by its government to ensure that today’s practices will not endanger future generations. This dashboard does not provide a sense of urgency since all the reports are linked to 2010 time frame that was reported in January 2011. In line with that expectation of producing an annual report, I would have expected to see the results of 2011 since we are now in March. 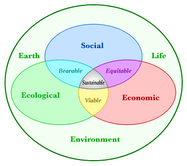 The dashboard, published by http://sustainability.performance.gov/, does not provide that consolidation in transparency. Next: From the GOP Sustainability: Where’s the beef? 8. Refinement and prototyping extend your knowledge on how your business can be improved. During a recession, your efforts can quickly pay-off when the market opens up, when cost reductions are replaced with productivity, or when new product or service introductions have been postponed. 9. Cash flow is the life beat of your company. Monitor it. Keep you accounts receivable, timely, current and limit bad debts. 10. Cost reduction is important in a recession, but understand the consequences. Know where to reduce. Look for efficiencies in processes. Increase your productivity through reduced costs. 11. Look for strategic investments for they may get a price break during a recession. Focus on new processes, equipment or technology that produces efficiencies, productivity, quality and cost reduction. Most importantly, recognize the project implementation’s lead-time and plan accordingly.